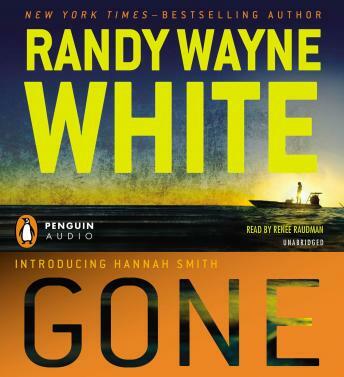 Randy Wayne White has long been known for suspenseful plots, complex characters, and an extraordinary sense of place. His new series has them all—and then some. Hannah Smith: a tall, strong, formidable Florida woman, the descendant of generations of strong Florida women. She makes her living as a fishing guide, but her friends, neighbors, and clients also know her as an uncommonly resourceful woman with a keen sense of justice—someone who can’t be bullied—and they have taken to coming to her with their problems. Her methods can be unorthodox, though, and those on the receiving end of them often wind up very unhappy—and sometimes very violent. And when a girl goes missing, and Hannah is asked to find her, that is exactly what happens. . . . I have found that many, perhaps Most, Maybe ALL, men should not write main characters that are women. Randy Wayne White is one of those authors. I enjoy Doc Ford novels. This was horrible. It was a complete waste of my time and I am embarrassed that I listened to the entire thing. Bad.